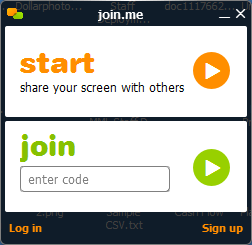 For first time user please download Join.me software from this link http://ptra.in/1criLq8 (for Windows) and http://ptra.in/1Gipalu (for Mac). 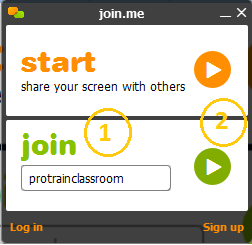 Your joining code is ‘ protrainclassroom ‘ (without quotes). When prompted, please enter your name. This window will only pop when the meeting is started. This step will login into the classroom. Voice setting window will pop up. 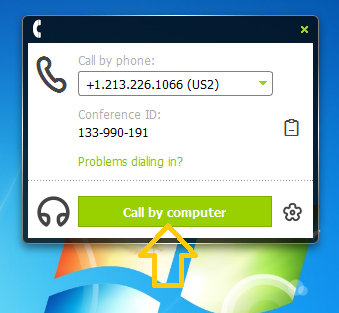 Click on ‘Call by Computer’ to connect via computer. We do text-based chatting throughout the classroom session. We recommend you to expand the chat window during the whole classroom session. 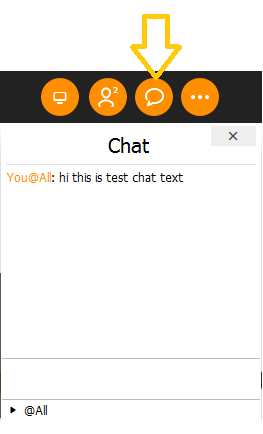 To expand the chat window click on the Chat Icon as shown below.